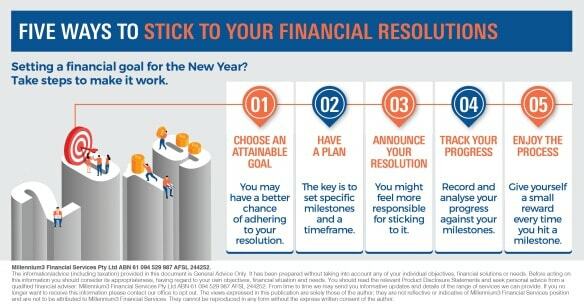 Create a plan that can help you take small but regular steps toward reaching your financial goal. The key is to set specific milestones and a timeframe for each. You may wish to talk to your financial adviser about setting a plan for your financial situation and goal.